PFS Sales Company was founded in Raleigh, NC in 1988. 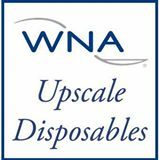 For over 30 years, we have specialized in delivering top-quality disposable paper products, plastic products, and more to clients throughout North Carolina while also providing a level of customer service that is unmatched in our field. Our Commitment to Serving All Customers with Fairness and Integrity: We Would Rather Shortchange Ourselves than Risk Hurting a Customer! We strive to build personal relationships with all of our customers. This enables us to provide truly custom-tailored services. The goal is to make your experience with us as easy as possible, from before the sale, during delivery, and onto billing and beyond. To us, our customers are more than just sales figures—they’re our partners. 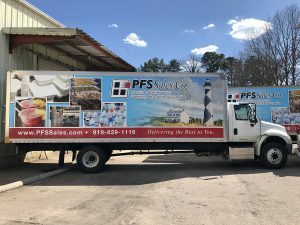 When you choose PFS Sales, we go out of our way to ensure that you’re met with several options, our great customer service, and the level of reliability we’ve become known for. Have a question about a product or service? Our experts are more than happy to walk you through any new item you’re thinking about to see how it fits into your business. Simply call us, and our experts can both help you identify new products that can help you or help you learn about any product you’re interested in. Next-Day Delivery on Orders Received by 4:30 p.m.
At PFS Sales, we are proud to be a member of The United Group (TUG), which is a buying association of over 350 independent distributors in our industry. Being a part of TUG allows us to utilize the combined purchasing power of the entire organization. That enables us to pass on lower prices to our customers as well as a wider product selection. TUG has also named us Distributor of the Year. Our Owner and President, Thad Ellington even serves on their Board of Directors. 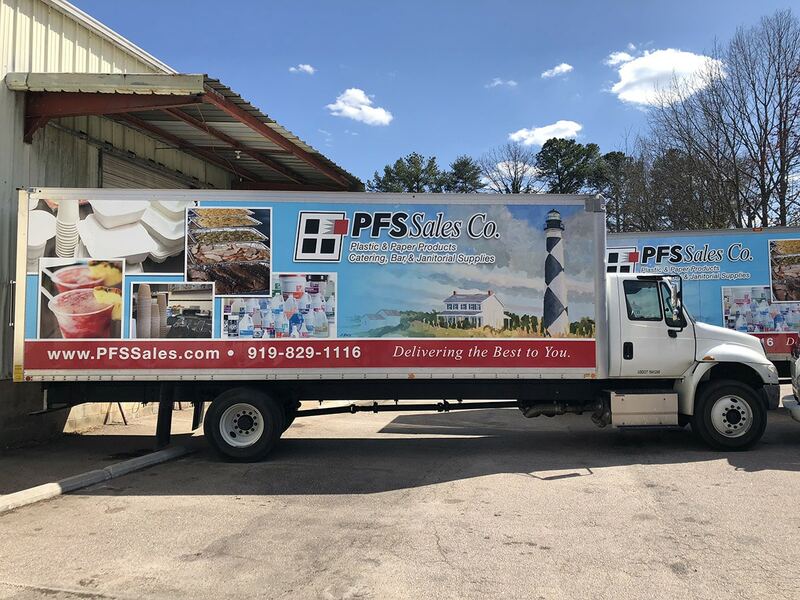 PFS Sales offers a broad variety of name-brand and “house” brand products, with over 3,000 items in stock to ensure we always have exactly what you need. We own our own trucks, which allows us to deliver your order quickly, exactly when and where you want it. 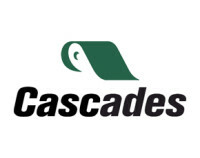 Our sales staff is composed of the most experienced and knowledgeable people in our industry. Drawing on decades of expertise, our sales representatives possess all the know-how necessary to help you choose exactly the right products for your business within your budget. Every member of our staff strives to uphold our old-fashioned values of fairness, honesty, and integrity with each of our customers. When you call PFS, our customer service representatives will take the time to talk to you about what your needs are. We believe that learning what you need allows us to better serve you now and in the long run. Together, we’ll put together a custom plan to take your business to the next level with our catalog of products. We’ll also work with you to learn how often you need your supplies delivered and work to have them there when you need them. Interested in making the planet a better place to live? PFS Sales can even help your business go green! Whether you are seeking to use compostable, biodegradable, or sustainable disposable items, or if you would like to utilize earth-friendly janitorial cleaning supplies, we are your source for environmentally-conscious products. Each member of our Sales Team is fully trained in knowledge of our green items, and they will happily help you choose the right products to suit your business’s values and budget. At PFS, we’re dedicated to doing our part to help the environment. We proudly provide products made from recycled materials. Plus, we love giving you options to decrease your impact on the environment. In one call, we can be on the way to helping you find a way to make your business one that’s more environmentally responsible. By talking with our experts, you can easily lower your impact while increasing your service quality.